With the 2011 Honor Cabernet blend we thought we would do something special. We went through all of the lots we had selected for the Highest Honor and made a very limited second blend. We bottled this special wine in 1.5L Magnum bottles with only 80 cases produced. The result is a wine of extraordinary character and value which we are delighted to share with you. The 1.5L format (the equivalent of two standar bottles) is the perfect size for holiday entertaining or as a source of surprise and delight for the wine enthusiast lucky enough to be on your gifting list. 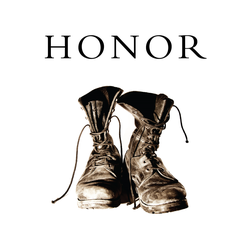 The 2011 Honor Blend leads with cedar, tobacco, tarragon, black cherry and blueberry on the nose. Dark plum and berry notes dominate the palate while clove, cardamom, and other spices add to the complexity. The wine finishes with mocha, brown sugar and echoes of the berry notes on the palate. Drink it with your holiday roast or with close friends fireside. This is the perfect wine to share with good friends and loved ones.